Recently, it came to light that Renault India is working on another facelift for the first-gen Duster. 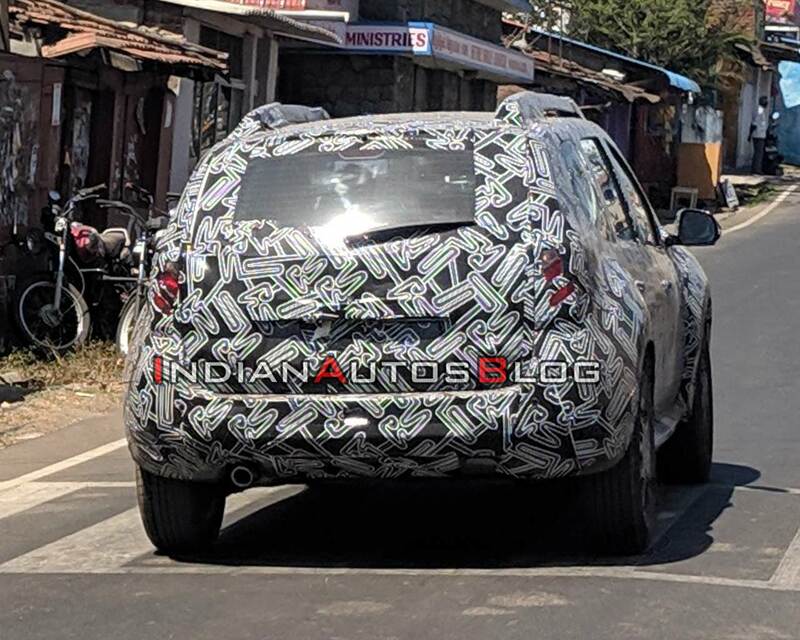 In a new development, IAB reader Charan Kumar has shared a fresh set of spy shots of the 2020 Renault Duster (facelift), which gives us a closer look at the future model. The latest sighting of the 2020 Renault Duster ascertains that the second-gen model isn't India-bound for now. However, it is being said that the refreshed version of the India-spec Duster will "feel like a completely new car." The 2020 Renault Duster will boast updated bodywork, which should help it to conform to the stringent pedestrian protection safety regulations that come into effect on 1 April 2020. The most significant changes will be made to the vehicle's front, where the updated vehicle would feature a higher-set bonnet that will free up some space between the hood and the engine components, thereby reducing the risk of injuries suffered by the pedestrian on hitting the sheetmetal. This will even necessitate the use of a new front bumper and a revised grille. 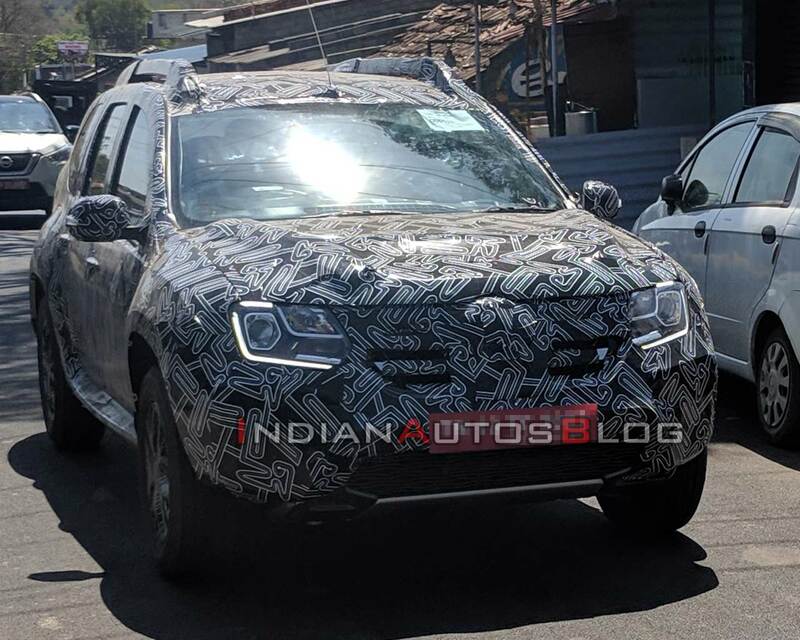 The latest spy images offer a good look at the front of the facelifted Renault Duster. The first-gen model has received projector headlights - a feature not seen even on the second generation model - and LED DRLs. It is being said that the updated model could have an electric sunroof on the top-spec trim. Moreover, the refreshed vehicle will be equipped with new alloy wheels and new roof rails, and be available with new paint options. Inside, it will likely feature an updated infotainment unit and improved material quality. The 85 PS diesel motor will be on its way out, while the 110 PS version of the K9K 1.5-litre oil-burner and the H4K 1.5-litre petrol motor will be updated to achieve compliance with the BSVI norms. The former will continue to be available with a 6-speed manual transmission and a 6-speed automated manual transmission, while the latter will retain the 5-speed manual transmission and a CVT. The 2020 Renault Duster (facelift) will be available with BSVI-compliant versions of the 110 PS 1.5-litre diesel and 106 PS 1.5-litre petrol engines. The 85 hp unit will be shelved. Before giving the first-gen Duster another facelift, Renault will equip it with rear parking sensors, a passenger seatbelt reminder and a high-speed warning for adherence to the new safety regulations, by July this year.